I tried the Irish Spring Soap to repel the mice/rats, came back a few days later box was chewed open and soap was gone. They ate it. Nicky – Sorry to hear your results. I know some people have used this idea and it worked while others have had only marginal success. You might try the cayenne pepper tip as many people have had great results with it. Didn’t work for me either I put a bar behind my washer and 2 days later found it in the middle of my floor with naw marks all over it!! PEPPERMINT OIL MICE & RATS HATE IT! My neighbor insisted Crest-o-Mint cleaning oil was miraculous for repelling mice and rats. I bought all the store had, and sprayed all around the camp, when I left for a couple weeks. Actually poured it on the floor in the corners, behind the stove, fridge. when I came back they had chewed through all my stored paper bags, eaten the plastic bags, and left 2 inch deep droppings inside the fridge and all over the floor and table. The MINT smell did not work, but I will try the soap. I think I have Mighty MICE. We have had excellent luck with peppermint oil on cotton balls (as you described) in our travel trailers for years. You will need more than one though. We place them throughout the trailer, and add a 7 10 drops to each cotton ball about once a month. You can get a 16 oz canister from Piping Rock for about $38 when it goes on sale, which is most of the time. The only problem with it is opening the canister the first time. You have to cut through the plastic liner because the pull tabs are useless and break off. BUT, you won’t find a better price for the quantity, and if you do, please let me know! I am just starting to use it around my car, shed, well house, etc. The only thing I can tell you is that after research I found out that you must use the Original Irish Spring Bar Soap. The “original” does NOT have aloe in it. Seems the buggers like the aloe. 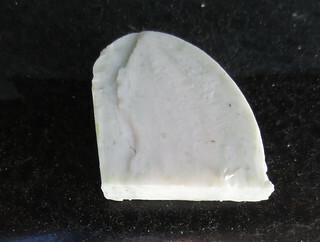 Try the “ORIGINAL” Irish Spring Bar Soap. I noticed they have liquid also….I may get that to squirt all around the perimeter of my house….more to come. I also heard it has to be the Original Irish Spring scent. I found the sticky traps work the best.catches everything from spiders,all insects, flies etc,, the original bar of Irish spring soap needs to be sliced paper thin shavings work best. Amazon sells both products and cheaper then any stores. Had them delivered within 5 days. We have field mice in the attic (they don’t bother us) but the field rats are getting in the house/walls. But when the house was built they didn’t put in the metal to keep them out; plus no basement. I doubt they left cause my dachschund keeps hearing them. Oh well worth a shot. Darlene – Thanks for sharing your success story with using the Irish Spring soap tip. I use Irish Spring every year in my RV. The only time the nice chew the soap is if we accidentally get aloe instead of original. We also never leave the boxes out as mice love cardboard for nesting. It has definitely worked for us! as I am a nurse assistant,i find that rats are curiously attracted to human droppings as well. crumbs are just one of these problematic areas as we all tend to hamper the procurity of our environments. I did tie a string of sheet metal to a cupboard as mice do have visual proximity. and finally, the smell of burnt nettlings can deter a multitude of critters as they tend to hone in on the parameters of their vessels. much luck to all ! Pat – Great information about the metal to detract mice. I hadn’t heard about that idea before. Thanks for stopping by and leaving a comment. Great info..husband and I are fighting a hord of invading mice this year. My cats cant even keep up and instead now often just watch them…. maybe the soap and nettles will help too. I’m desperate. If I start to say anything in town, the people act like we live in a shack or shed with trash all around that attracts the field mice, but this is just a really bad year for them. The field mice even try to build homes in my clothes hanging up. ..ewwww. i find dry catfood and dog food I feed our pets everywhere. We keep dry foods in plastic containers and the birdseed in a heavy plastic trash can with clasps that snap over both top sides. I’m about to try peppermint oil on drawers, as I’ve heard that repels them too. Thanks fot the ideas..these are all I have so far..just not enough this year. You can hear the little pests chewing at night all over different places. We’d move if we could, but its not an option, so all ideas are welcome. Home Depot sell a night light that you keep plugged in .It lights up but there is a sound that it mates in which mice and rats are the only creatures that can hear it. It doesn’t affect humans or pet. Their ears cannot endure the sound. You get about 3 in a pack for 8 or 9 dollars. I custom built a 8000 square foot home with 4 acres and I was having a tuff time with them in my garage, hvac system and pantry. I could hear them in my duck vents. I bought several packs placed two in my garage , by vents on each floor level, by my HVAC in the basement and in ceiling of 3rd floor.I had tried everything and it didn’t work. I had then just build the home but I know after 39years of marriage it’s no way my wife would stay in our home. We love or home and I think God for those socket lights. Just go into Home Depot and describe this they will know exactly what you speaking about. It cost you about a dollar and fifty cent a day of electricity. However I don’t care about the cost. Try making a mixture of oats and dry plaster of Paris. Mix together really well, then put in a bowl where the mice are. The mice will eat the mixture and the plaster of Paris will harden in their gut. Any cheap plain oats will do. @CL – What a great idea and I love the idea of no poison and a just homemade recipe for getting rid of these pests. I will have to try this idea. My grandma told me to use RC cola . i poured it in a pie pan and set it in the barn , next morning it was all gone . she said they can’t belch ( burp ) so it kills them . I dunno if it worked because she lived the the country with corn in a corn crib , so new mice and rats were coming all the time . Hey there, get some traps and use peanut butter. Works every time. The traps will totally reduce your mouse population. Sounds like you may have waited too long if you have so many around. Good luck! I’ve heard you have to grate the soap up using a cheese grater or an old food processor, then put it out, apparently leaving the whole bar does not work, I’ve got some friends who close their lake house up for the winter and they swear by this. We tried using the Irish Spring..Total Fail!!! The little buggers ate the soap and then ended up with the bloody shits all over our RV. Frank & Sandy – I am so sorry to hear this didn’t work for you both. I am posting your comments so others know this may not work and avoid using this idea. I have added a warning to the original post too. Thanks for sharing your outcomes. I put a whole bar of Irish spring in my rv and never had any more mouse droppings. I’ve tried other methods like dryer sheets, they only lasted for maybe a month. Victoria – So glad you had good results with the soap. Recently went to light the bbq and heard a squeak. Didn’t want to fry the critter, so quickly shut it off. Then I tapped bbq with the brush and the mouse refused to budge! Out came the heavy artillery (garden hose) and that got his attention. After cleaning the bbq, a few days later noticed a small hole chewed on the bbq cover and attempted nesting material. I shaved pieces of Irish spring and laced them with cayenne pepper…no luck, pieces removed and guess eaten! The previous year I used @ 6 individual packets of moth balls throughout the bbq and that seemed to work. Bill – Thanks for sharing your experience with mice in your BBQ. It is good to know that moth balls may be another deterrent for people to try. Irish spring cut in pieces have deterred mice for me in my camper, however the smell does wear off and I swear they become immune. Our camper is stored on a campground during the winter, with weather permitting I switch the soap monthly with peppermint soaked cotton balls and I also use dryer sheets. I don’t use poison because it acts as a good source and I feel it attracts them, I am trying this year a homemade hot pepper spray to spray around the outside perimeter of the camper. I also rake all acorns, pine cones and other food sources away from the camper when I change my deterrent inside. Thanks so much Jennifer for sharing your experience and ideas for deterring mice. Peppermint soaked cotton balls also deter bees. I use it in my mailbox where hornets are a problem and it works great. The previous owner of this house raised honey bees so I had swarms. Putting some peppermint oil in pottery dishes that are porous works great. When working outside I put peppermint on my clothes and exposed areas around my neck…have no bee problem. I also put cotton balls in your ears to ward of the bug in the ear issue!!! I put a box of Irish Spring soap in my bedroom and the kitchen. and one in a closet. Since then, I’ve had NO mice nor droppings in either location. Works for me! Yes….ORIGINAL Irish Spring. If you don’t look closely you won’t notice it even says Aloe so beware. I’m about to attempt this right now. Been a Bad yr here, for field nice getting into our wall’s, during the early cold snap, combined with the fact that the farmer was turning the fields behind is and they ran to the nearest hear source! It has to be “Original” Irish Spring soap. Other scents do not work and the mice/rata will eat the Aloe version. In my experience if you see ONE you have TEN. Thanks doom and gloom. We’re looking for solutions here, not more hysteria. Make sure it is not the Aloe Irish Spring. So far the original has deterred the flying squirrels we had in our attic! Oh God! please wish me luck I just added two soap bars of original inside the engine, a rat got inside my prius a month ago & the mechanics had to dismantle the inside cars carpet etc to get it out as I have a baby. Im so afraid I had added moth balls everywhere which seem to help. I don’t even live close to mountains I’m in the city of l.a. seems to be an infestation where I liVe….we only been here six months…. I hope & pray they don’t try to eat the soaps or become immune as those things have super powers before Taking to mechanics I set sticky traps they went around them ate poison and didn’t even died…. Good luck all! I have a brand camper, we filled in all opening with steel wool, we placed irish spring soap and bounce dryer sheets all over the place (we have the nicest smelling camper on the grounds) but the mices nawed on the soap and used the bounce sheets as litter boxes. I removed the soap and put out traps, caught 2 mice and we have no more mice. My crazy mice seemed to be attracked to the soap. I have several collector cars and and have used moth balls with much success but the stink stays with you all summer long . At every event we go to we pray for sunshine so we can leave all the windows open to get rid of some of the stink . I am going to try the Irish Spring soap this year for the first time and I like the idea of putting some on the perimeter of the garage and shop . maybe will use the soap inside the cars and the moth balls on the floor where they are parked . Give those little Files something to think about .Winter will begin this week so the forecast says . Don’t use moth balls, they are carcinogenic. I been using Irish Spring for years and it works for Me. I am doing it right now for winter 11-08-17. I think it is an effective way to prevent the mice. Thanks for your sharing. I have used everything and all at the same time Shake-A-Way, Fresh Cab, mouse traps, poison, foil, steel wool, cedar wood balls, dryer sheets, moth balls,a 5 gallon molasses bucket trap, I leave the hood open, not to mention the cats that hang out on the car. I get them in the traps but they still go in the car leave droppings and all that. I don’t know I’ll chop a up an Irish Spring bar of soap too, try that. Some mice are just desperate. I know when it’s cold I’ll do anything to stay warm and sheltered too. I live in the desert, where we have Kangaroo mice and Pack Rats that eat the wiring under the hood. Irish Spring works wonders for us! You have to keep it fresh—every three weeks or so- under the hood so it’s smell is spread by the engine’s heat. It has to permeate the area. Beware of putting it too near hot parts, as it CAN burn, and cause a smoky dripping mess. Who knew soap can burn? The people who reported that the mice will eat it, I can testify to that. But ONLY when it’s lost it’s nasty smell. Keep it fresh, and they DO stay away. It’s about the scent! I bought original Irish spring, not aloe, and the mice ate the soap anyway. The soap was left in an open box for about a week before it was eaten. Clearly does not work on this particular mouse! Here is a theory about why this works/ doesn’t work. I believe if you have an infestation where rats have access to shelter, food and or water, there is very little you can do to make them leave. A rat coming in looking for a place to live or eat or hide might come across a chunk of Irish Spring and try to eat it, might even like eating it. But. It’s soap. It’s not going to go well for their digestion. At this point they may decide to take their belly ache and go elsewhere. Just something I’ve been thinking about. Ummm NO…. I have had a bar of Irish Spring in the glove box of my F250 for a year. Half of it is gone….cuz they think it’s FOOD!!!! PURE PEPPERMINT OIL!!! RATS & MICE HATE THE SMELL!! original green bar works like a charm, keeps mice out of my kitchen drawers and am now putting in all the cars!!! Do you cut or shave the soap? Or put it out a whole bar? How often do you replace it? @Karen – I cut off a small piece (see above photo in the post). Keep it fresh as it is all about the scent which its the smell that keeps them away. We live in a small country type area in the middle of the apprise with a large field next to use. Every year we are purchasing poison and then making sure our neighbors know so none of our pets are harmed. This week another neighbor told us to cut up Irish Spring soap into 4 quarters and put it in small cups of water around the house, in every corner of each room, except for one room and set the rat/mice traps in the room without the soap. He killed 10 in one day. We are doing this tonight and hope to have a good update to post soon ! I’ll try in my attic. I found mice droppings, and recently heard a noise, and it was a snake, I guess a rat snake. I’ll put some soap just in case, also for a nice sent in the attic. I moved with my sister for a little while and can’t stand it. I discovered the nasty things climb on my bed… urrrggg! I come home from work and see dropping on my. I’m just done! I read about the Irish Spring soap this morning and went out and bought an eight pack and a cheese grater. I fist made some small paper napkin satchels and placed them in certain areas, but then I saw the nasty critter again. Forget the satchels, I grated the soap on the floor, behind the tv, behind the dresser, etc. O how I can’t stand the nasty things, even to look at pics of them… It’s been about an hour and I haven’t seen the nasty thing. I’ll grate some on my bed before leaving out tomorrow and will give you update. Somebody has to go and I can’t afford to move right now. tried everything!! including peppermint oil! even set a mouse trap next to some cotton balls soaked in peppermint oil. still caught the mice in the trap. only thing that has consistently worked is a good sturdy mouse trip! We have used dryer sheets in our RV for years with great success. I had mice that were getting the bait off the trap without getting caught. A guy at the hardware store told me to tie a piece of fishing line to the end of my mouse trap then put the peanut butter on top of it. The mouse will get his teeth caught in the line and the trap will catch him. Has worked so far. I’m going to try the soap also. makes me cringe I am going to try the soaps method, i have the sticky traps, i have the walk in little house traps , have the deacon traps and just seem to still find little reminders that visitors are amongst my house. HELP !! We put Irish Spring in our RV. Came back later with a LOT of poop droppings all over the RV and bite marks on all the Irish Spring bars! So we bought 16 mouse traps and left them for a day. Came back expecting a lot of mice. NONE! Do you think when they ate the soap that they died? I am a Buddhist and don’t kill mice… and he/she visits at night, scratching around in the heat vents. My friend told me about Irish Soring… bought a few bars… evening came … put about 4 under the vent grates at various locations. Next morning, furnace clicked on…. my Schitzu Mr. Darcy snuffed .. and the smell was so intense within a few minutes I was forced to pull the four bars. Sitting the dark I checked everyone’s comments. Now I see I had bought the aloe bars… question? If I retry with the aloe-less bars … can I use pieces …if so how big and how many. 4 whole bars were enough to send us out of the house and leave it to the mice… sigh! Try peppermint oil on cotton balls inside little plastic cups. It has worked for us for years in our travel trailers. About once a month add 7 – 10 drops of the peppermint oil to each cotton ball. You can get a 16 oz canister of peppermint oil from Piping Rock for about $38 when it’s on sale, which is most of the time. That’s the best price/oz that I can find anywhere. Good luck! We have tried EVERYTHING, to no avail, to keep those nasty critters out of our hunting camp. Finally came up with a solution to keep them out of drawers – we turned dressers, night stands,etc upside down and stapled wire mesh to the bottoms. We have to keep extra paper products (toilet tissue, paper towels) in plastic containers. Been living here for over fifty years and never found any droppings before this past year. I put Gorilla tape on the bottom of my five shelf bookshelf where I stored extra food in my kitchen after I found a lot of droppings under it when I moved it to clean. Also found they ate a large bag of special pasta that I bought but left all other pasta’s alone. All food that is not in glass or a can are now stored in either to avoid them eating it. In the bathroom cabinet..found they ate almost the entire bar of soap. I had many stored. Got rid of them all except one which I continue to use to see if I still have the little critter/critters around. I do. They eat a little bit of the soap and leave there poop. I put the soap on a plastic container that is big enough for soap and poop. I am guessing they leave their droppings as they eat. The soap..both Ivory and Safe Guard seem to fill their need. This morning…opened that cabinet to get something and there was the little guy. Staring right at me. Not sure who was more spoofed, Lol. I quickly closed the cabinet. Tomorrow morning..going to buy some Original Irish Spring and put shavings in the cabinet so see if that works. Another note…a month or so ago..found most of the 200 Q-tips were pulled apart and most of the tips were gone. I’m guessing there are many as near 200 tips of cotton…made a good nest. These cabinets are next to my tub. My son said there is plenty of space for them to live comfortably without fear (unless we remove the tub). Lol. Irish Spring first..then traps. I don’t want to provide them with a home in my home.